Located on the boardwalk right next to the beach. At the Gardens Plaza, our guests enjoy the use of our swimming pool and spacious patio. 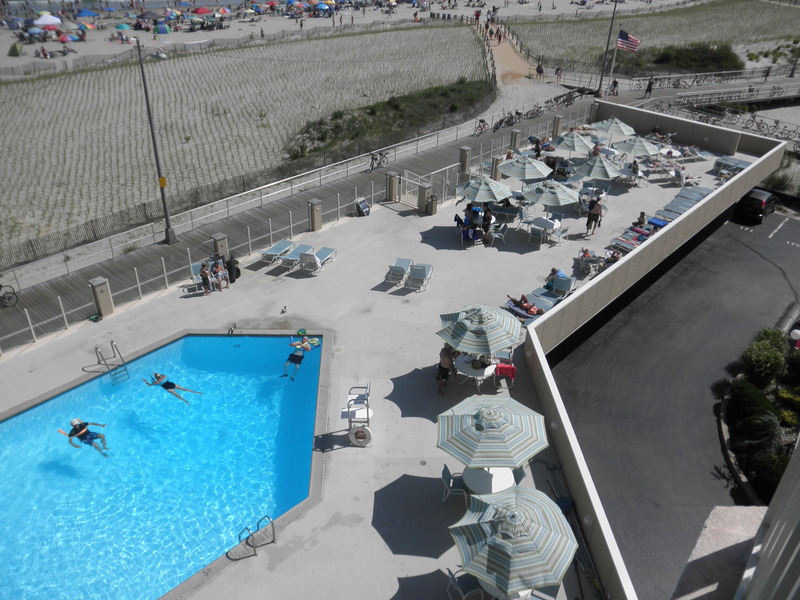 The large pool is located outside and provides a relaxing atmosphere. Also available, are many seating options along with umbrella covered tables to beat the sun. Our pool is open everyday from Saturday of Memorial Day Weekend through Labor Day from 10AM until 6PM. Please see our Swimming Pool Policy for pool rules.